At Chatsworth, we believe in nurturing and empowering young talents to achieve success in what they do, with some financial freedom. 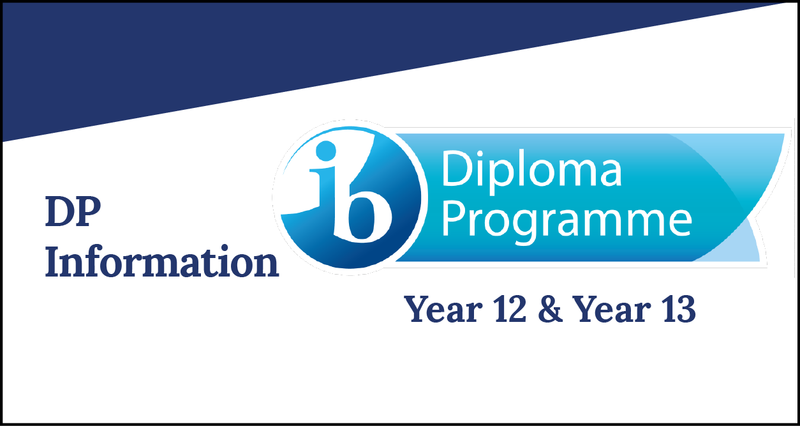 We are pleased to offer a number of full High School Scholarships to students entering Year 12 (Grade 11) in the International Baccalaureate Diploma Programme (IBDP) at the start of each new Academic Year (in August). This Scholarship, valued at a total of about S$71K (based on a 2-year IB Diploma Programme), will pay for 100% of a student’s school fees and provide the student with a laptop for use for the duration of the Scholarship. The Scholarship will be awarded to a limited number of students on a merit basis. The Scholarship is applicable to both internal and external students and is renewable at the end of Year 12, based on the maintenance of high academic achievement and community involvement. Chatsworth offered an encouraging learning environment, provided me with exposure and gave me lifelong friends! IB is challenging, but you realize your true potential during thi s time. The skill-set that I gained during IB has been very useful and has helped me at university. Academic performance will be the primary determinant for the awarding of a scholarship although community involvement may also be taken into account. Excellent academic results across a range of subjects. Achievement of minimum requirements of scoring 248 for Reading and 266 for Mathematics in the MAP tests. Quality of communication during interviews. Being in excellent standing in Chatsworth/ previous school community. Scholarship holders are expected to achieve 38 points in the first and second semester examinations in Year 12 (IBDP 1) to be eligible for the continuation of the scholarship in the second year of the IB Diploma Programme. All Year 11 students may apply and results will be looked at before awarding any scholarships. The highest academic achiever in Year 11 in Chatsworth will automatically be awarded a scholarship for the IB Diploma Programme if they meet the minimum requirements for MAP tests (266 for Mathematics and 248 for Reading) and have excellent academic results across a range of subjects. Additional awards may be made at any time during Years 12 and 13 at the discretion of the school. The scholarship is open to Year 11 (Grade 10) students outside Chatsworth by application. The external students in the above-mentioned grade may apply at any time. A one-page essay by the student expressing why he/she believes that he/she deserves this Scholarship. The documents should be uploaded with the student’s online application form. 2. Should a Scholarship holder leave Chatsworth before successful completion of the 2-years IBDP programme, the full school fees (including the Building and Maintenance fee) must be repaid to Chatsworth and the laptop returned. School report will only be released upon receipt of full payment. 3. The Scholarship cannot be held concurrently with any other award or scholarship without the prior written approval of Chatsworth. 4. Scholarships are renewable at the end of Year 12 based on the maintenance of high academic achievement and at the discretion of Chatsworth. 5. Year 12 Scholarship holders who achieved 38 points in the first and second semester examinations are eligible to request for the continuation of their scholarship in Year 13 of the IB Diploma Programme. Those who wish to continue with the Scholarship in Year 13 are required to indicate their intention to continue with the Scholarship when submitting their Continuation Form (option to withdrawal). 6. The Head of Schools, Principal and Head of Secondary will make final decision on scholarship continuation once a Scholarship holder’s semester two results have been reviewed. 7. Admissions will notify successful and unsuccessful scholarship continuation students. 8. For Scholarship holders who have completed Year 12 but are not eligible for the continuation of the scholarship for Year 13, no repayment of Year 12 school fees is required but the laptop must be returned. 9. Decisions made by the Scholarship Committee in relation to the award of the Scholarship are final and specific questions with regards to the rationale of decisions made will not be entertained. 10. The Board of Management of Chatsworth reserves the right to vary the terms and conditions of the Scholarship, without prior notice. Year 12 Scholarship holders who achieved 38 points in the first and second semester examinations are eligible to request for the continuation of their scholarship in Year 13 of the IB Diploma Programme. Those who wish to continue with the Scholarship in Year 13 are required to indicate their intention to continue with the Scholarship when submitting their Continuation Form (option to withdrawal). The Head of Schools, Principal and Head of Secondary will make final decision on scholarship continuation once a Scholarship holder’s semester two results have been reviewed. Admissions will notify successful and unsuccessful scholarship continuation students. All completed scholarship application and required documents are to be submitted to the Head of Secondary. Internal applicants should submit any supporting documents in a sealed envelope (which should include a copy of your most recent reports and copies of relevant award certificates, etc.) addressed to the Head of Secondary. Shortlisted students will be invited to attend an interview. The Admissions department will notify the external students regarding the status of their application.